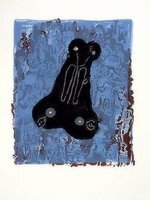 Find more information about the offered work at Jörg Immendorff Alles was Ihr von mir bekommt 1995 Details. 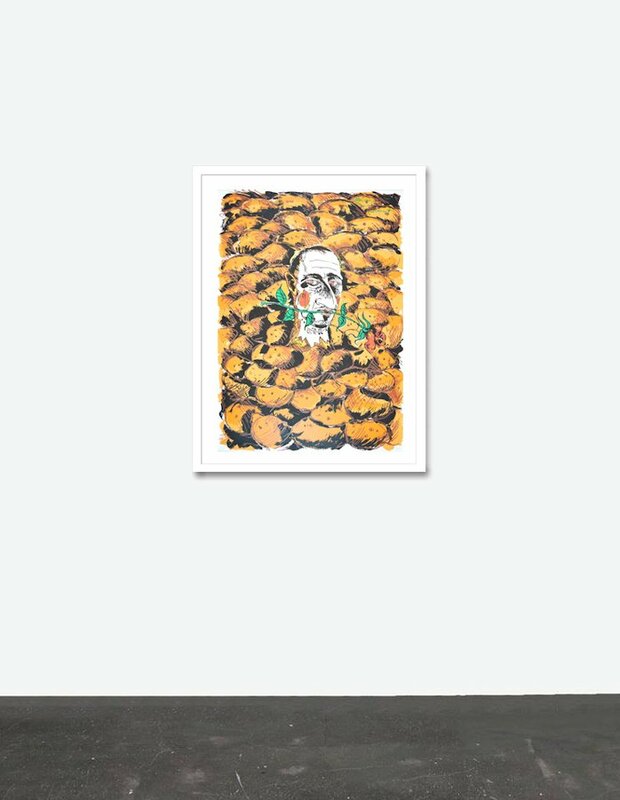 You want to buy Jörg Immendorff's Alles was Ihr von mir bekommt 1995 and you have questions regarding the checkout?  We've collected in-depth details for you. 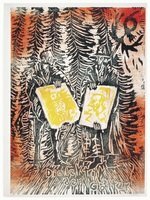 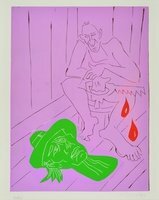 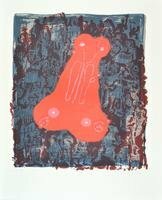 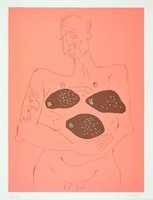 Jörg Immendorff's screen print 'Alles was ihr von mir bekommt' is in very good condition. 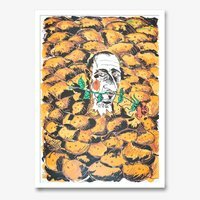 The offered original graphic is in excellently fresh and luminous colour retention has a sheet size of 39.4 x 27.5 in and is handsigned, dated, and numbered. 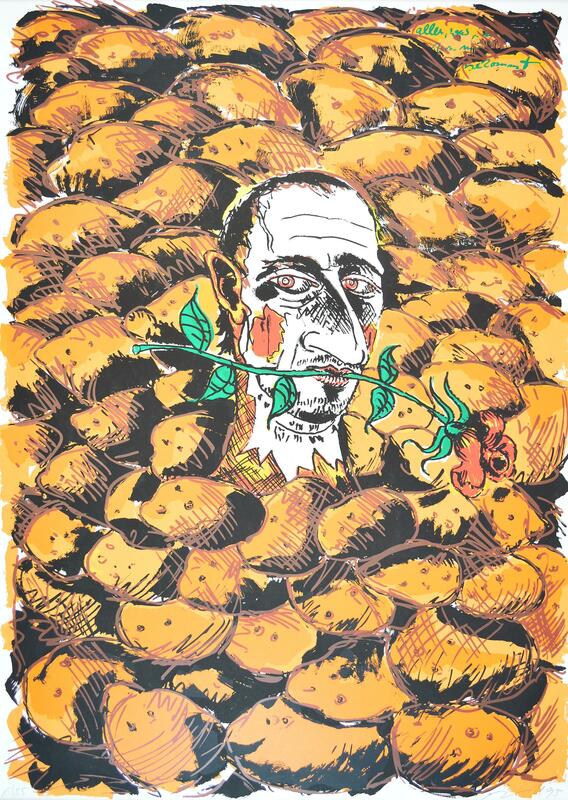 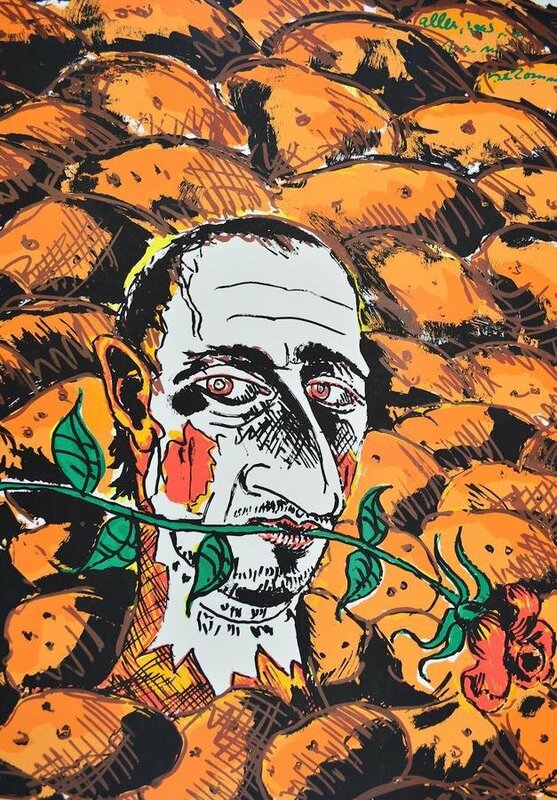 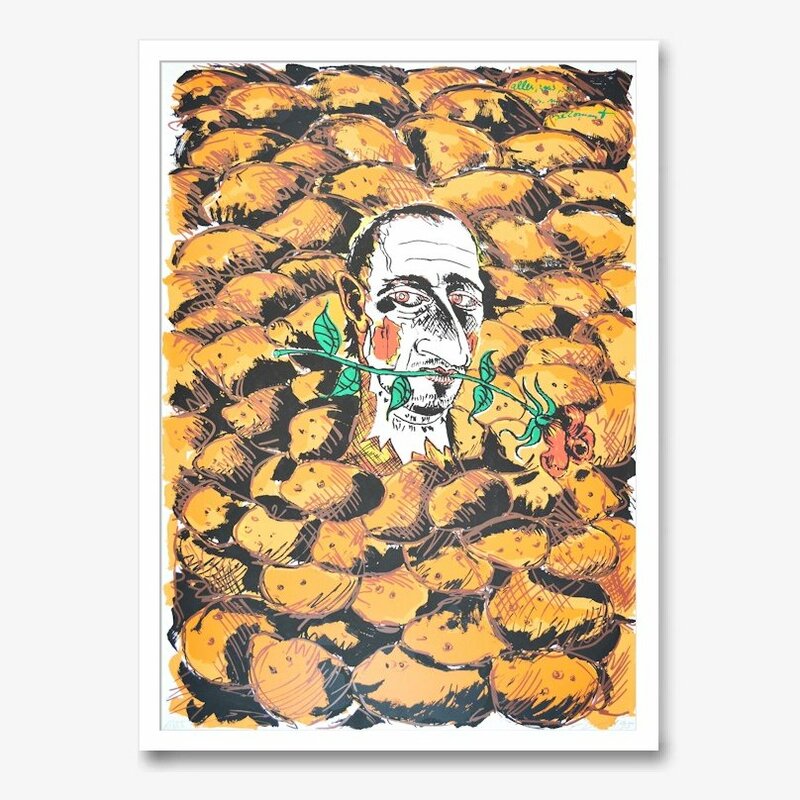 The artwork shows Immendorff with a rose in his mouth surrounded by potatoes, Immendorff's symbol for art as staple food that promises repletion. 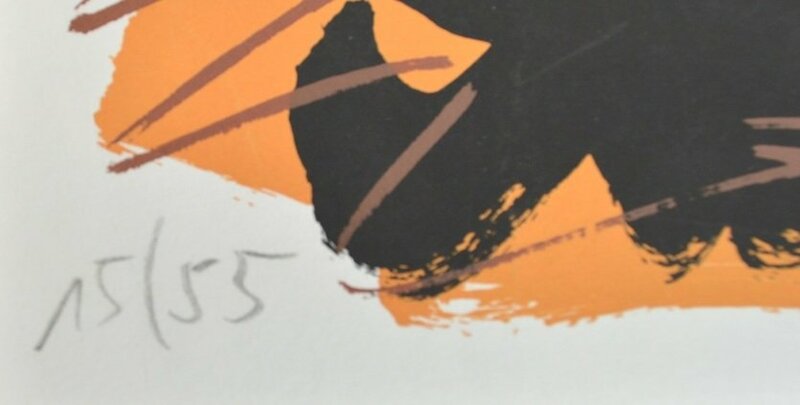 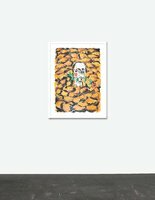 The offered artwork has the number 15 from an edition of 55 copies.